1. Talocalcaneonavicular joint: This synovial joint is formed between the talus and the calcaneus and the navicular bones. It’s stabilized by the plantar calcaneonavicular ligament. 2. Calcaneocuboid joint: Another synovial joint, this one is formed between the front of the calcaneus and the posterior surface of the cuboid bone. It’s stabilized by the bifurcated ligament on the top, the long plantar ligament on the bottom, and the short plantar ligament, which is deep to (located underneath) the long plantar ligament. 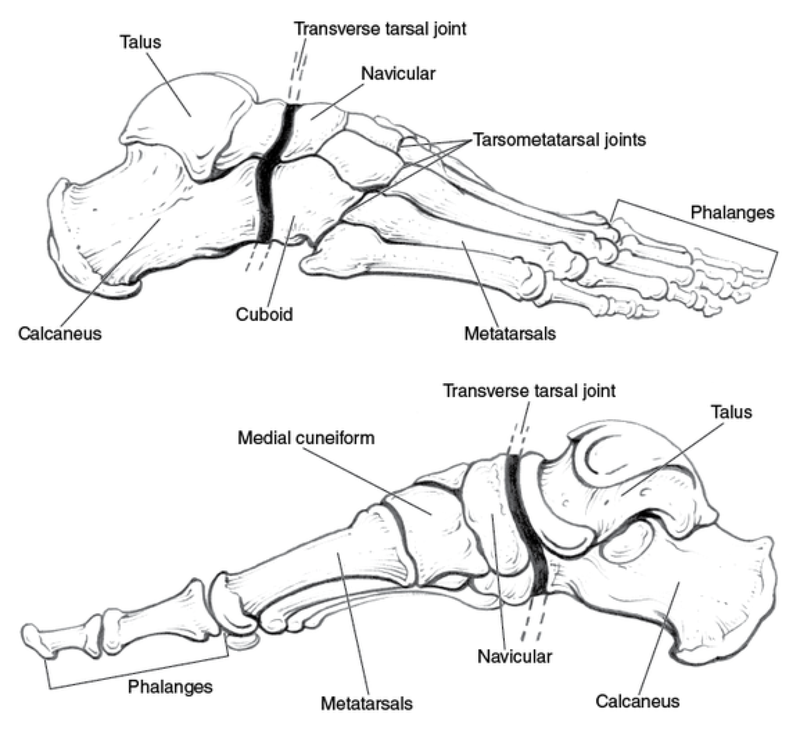 Check out our mods of the month, focusing on the transverse tarsal joint, below!